God created the heavens and the earth. And He gave man a mandate. 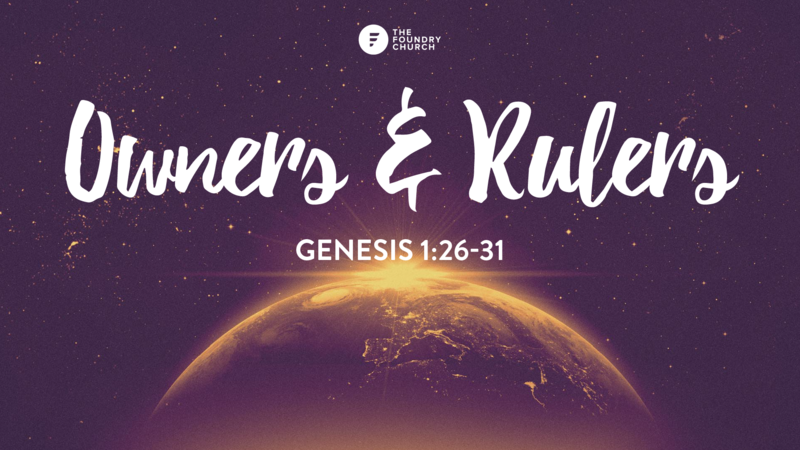 To rule and to reign, to be fruitful and to increase, under His authority and His ownership (see Genesis 1). Psalm 24:1 tells us that ‘the earth is the Lords and everything in it’. But we know from the Bible narrative that we have been given a task of ruling faithfully and stewarding what God has given us. Ruling on God-the-owners behalf is a privilege and an honour. It’s also the only way to live the kind of life He designed us to live. The pressures of ownership, knowing the beginning from the end, and the worries of this life can be all left in God’s hands if we’ll take our place as rulers and let Him handle the owning. Only when He is really Owner can we the begin to know the release of giving of our lives, our finances, our everything for His purposes and not our own. Stop trying to own what God has already laid claim too in your life. He wants to lead you by His Spirit in ruling for His glory, and your good. How do you feel about God owning everything? What do you really not want God to have? If you’re not sure, it’s normally the things you find hard to give away. Why do you think that is. Are there any areas of your life that you think you might be owning yourself rather than ruling them under God’s direction? If so, what are they and how can you give back ownership to God?